My dude Dylan let me borrow some awesome comics. 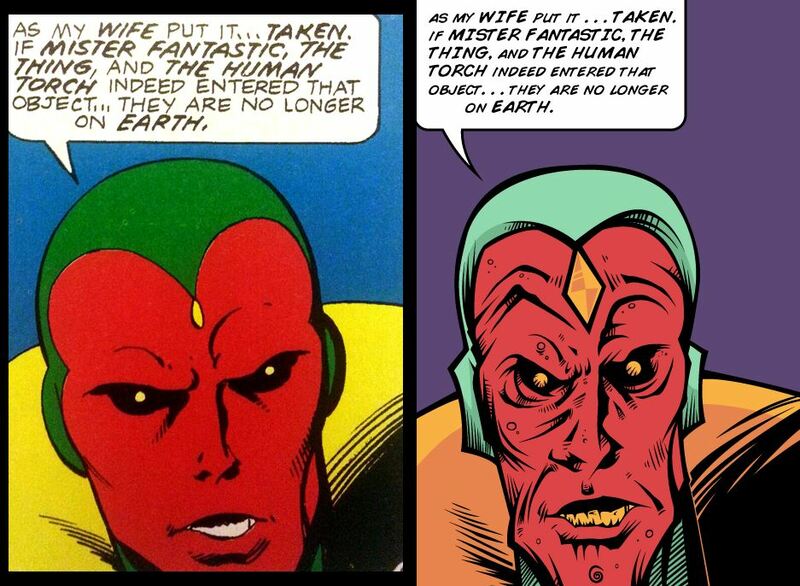 I was scoping the old Secret Wars back from the 80s and was seriously digging the art. I said, “heh, I wanna draw these Kirby-esque frames in my style!” And I did that, and boy-howdy did I ruin them! 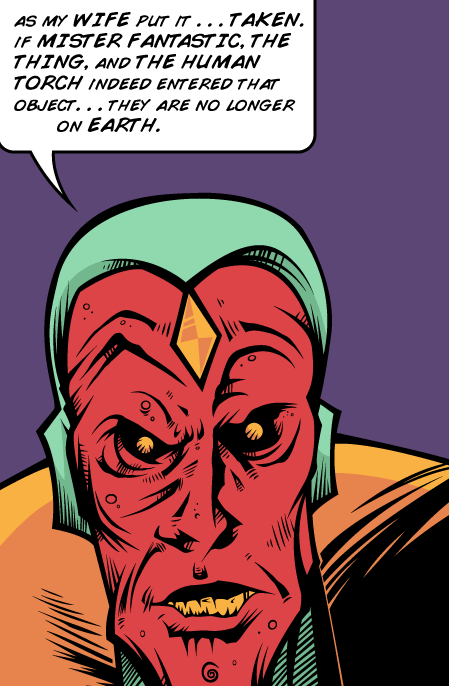 Here’s a frame of the Vision being very stern, telling some chumps how it is. An android with a purpose. I’m going to go back and hand letter the text. I just threw some cheesy comic book font in there but it’ll do for now. PS — Check out my dude Dylan’s album Flavors. It has everything you’d ever want in a musical experience.